LNG cargo arrivals increased this year, and the operator says truck loadings now exceed those of rival terminals. Polskie LNG, operator of Poland's Swinoujscie import terminal, said December 12 that so far in 2018 its terminal received 21 LNG carriers up to the start of December. That takes the total number of deliveries since its first arrival in late 2015 to 45 deliveries. It said two more cargoes are planned this month and so, most likely, by end 1Q 2019 it will have received 50 LNG cargoes. 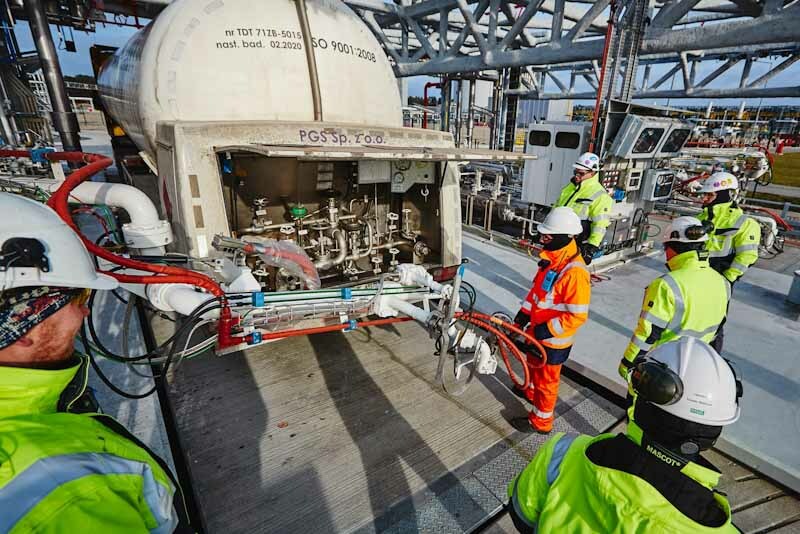 It also said that 1,500 road tankers had been filled with LNG at Swinoujscie so far this year (see photo below, courtesy of Polskie LNG). It said that figure, up to early December, already exceeds the estimated number of tankers filled by rival west European terminals in Rotterdam (Gate) and Zeebrugge (Belgian Fluxys) so far this year, with Swinoujscie's 2018 total likely to increase further with the advent of winter. Polskie LNG has begun implementing the planned expansion of Swinoujscie which has four components: increasing regas capacity from 5 to 7.5bn m3/yr; constructing a second quay designed for smaller vessels; erecting a third LNG storage tank of 180,000 m3 capacity; and building a railway siding to enable LNG to be loaded onto railway tankers and Iso-containers.